Late on Friday I heard from The Southern Review that their autumn 2015 issue (featuring my story “The Missing”) is currently shipping and should be out in the world soon. If you’re already a subscriber, keep an eye out this week. Otherwise, TSR is offering a “friends & family” discount that I’m able to share here for 25% off the purchase of single copies of the journal or any subscription. Use this coupon code: FRIEND514. The issue also contains fiction by Erin Flanagan, Steve Amick, and Matthew Baker, and poetry by Floyd Skloot, David Kirby, Fleda Brown, and David Wojahn, among others. (Check out the table of contents here.) I haven’t seen the issue yet, but I’m really looking forward to it. Some exceptional company to keep, as I’d expect. Here’s what I wrote when “The Missing” was originally accepted for publication back in January, if you’re interested in some deeper background. In short, “The Missing” follows a young father who runs off to visit a friend in El Salvador rather than face the prospect that both his wife and daughter-to-be could die during childbirth. This story represents a couple different progressions for me. One being an engagement of a more dynamic style, something I worked on extensively while on fellowship at Akademie Schloss Solitude last summer while working on a new novel. And the other development being that the story addresses issue of fatherhood and anxiety about childbirth and responsibility from that point-of-view. Usually it takes me a long time to digest things emotionally–so a five-year lag between becoming a father myself and being able to work on a story like this isn’t so bad. Thanks again to Fiction Editor Emily Nemens for taking the story and for all her hard work editing “The Missing” into the best shape it could be. 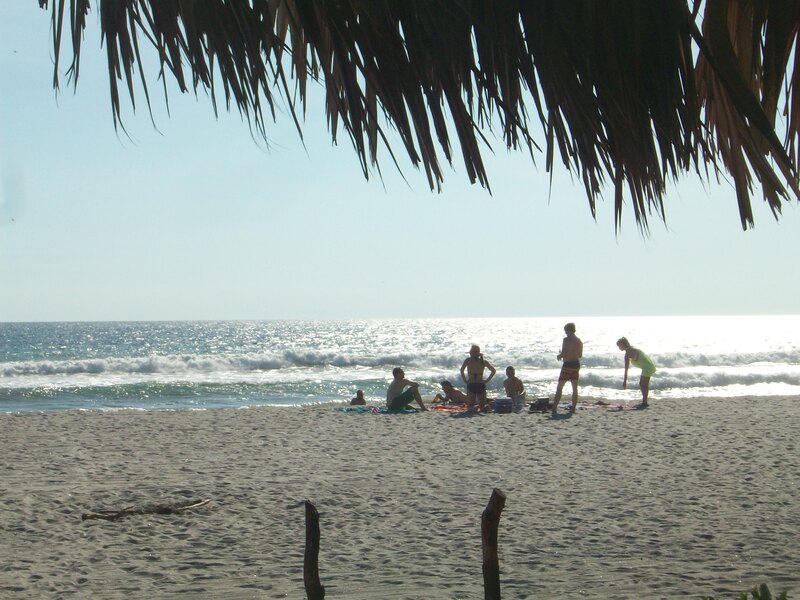 Costa del Sol, El Salvador. This is going to be a good week, I think. I had a great time at the Omaha Lit Fest this weekend, and held my own during my panel. (Thanks so much to Timothy Schaffert for putting everything together this weekend, and to Douglas Wesselmann and Marilyn Coffey for sharing the panel with me.) Plus, Notre Dame beat USC in an entertaining rivalry game; the Royals are up 2-0 in the American League Championship Series after yet another huge comeback and could clinch a World Series spot in the next couple days. We harvested a bumper crop of carrots and beets from the garden today. 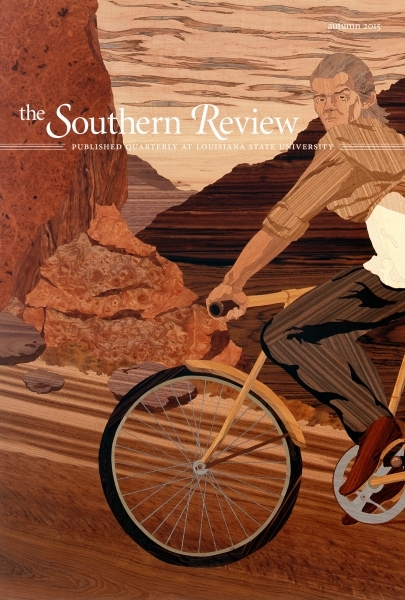 My contributor copies of The Southern Review are on their way. What’s not to like?